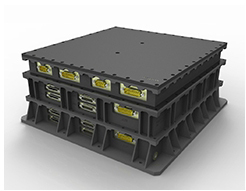 The heart of the flight qualified Data Storage Unit (DSU) is MDA’s Mass Memory Board (MMB) that combines high-density non-volatile NAND Flash technology, a Leon3 processor, and programmable radiation hardened FPGAs. MDA’s proprietary high-performance architecture integrates all interface, control, and memory functions into a single, low mass, low​ power, reduced envelope implementation. 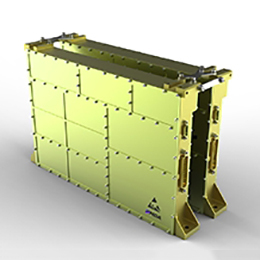 A cost-effective solution for space missions with moderate data rate and memory requirements, each MMB provides 1 Tbit (BOL) of storage and up to 800 Mbps input data rate. Powerful EDAC routines maintain a high EOL storage capacity and low BER. 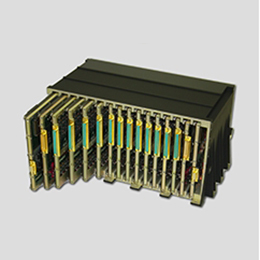 A Leon3 32-bit processor provides a File Management System (FMS) and capability for ancillary data handling and payload or instrument control. MDA’s DSU can concurrently write to one file and read from two files with pass-through capability and CCSDS Transfer Frame construction for playback at a fixed downlink rate of up to 600 Mbps. 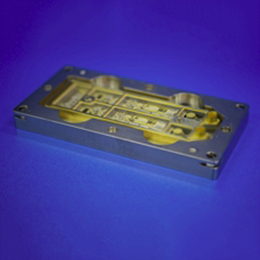 Based on QML-Q or equivalent space qualified EEE parts, the DSU is suited for a radiation tolerant environment. 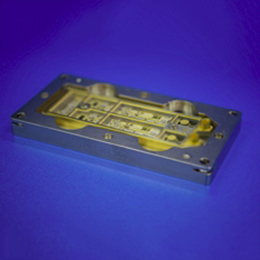 A standard DSU contains two MMBs with an internally redundant MDA Electronic Power Conditioner (EPC) housed within a flight-qualified chassis to serve as a redundant mass memory unit. Operating two MMBs concurrently can double unit storage and data handling capacities.